If you have decided for your business to have both Facebook and Instagram pages, you will likely want to link the two. As a little background, Facebook bought Instagram a while ago. And so now many of the things that are true to Facebook hold true in Instagram. Linking the two of them gives you many more options as you promote your brand. But first, let me clarify right from the beginning. If you’ve ever been scrolling through your Facebook News Feed and see people or businesses that have just set up their Instagram account to automatically post their content onto Facebook, it’s painfully obvious. The text gets cut off; there are too many hashtags for Facebook; it’s very plain to see that they were not IN Facebook. For a person, this probably doesn’t matter. But for a business that is trying to grow its audience and build relationships on Facebook, it matters in a HUGE way. If people can quickly recognize that you can’t even be bothered to login to Facebook, they certainly aren’t going to be bothered to engage with you there. That being said, there are a TON of other great reasons to link your accounts! 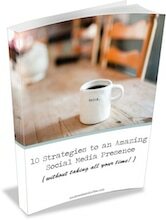 The main advantage is that you can then run more well-targeted paid ads on Instagram. Most ad capabilities are run through your Facebook page. (You can find more on how to run those ads here.) I know that sounds strange, but like we said – Facebook bought Instagram – so this is just how it’s done. Also, recently, Instagram set up “business accounts.” You can now easily switch your Instagram account to a business account which gives you even more features. The process of switching to a business account on Instagram will link it to your Facebook page. After switching to a business account, you will be able to now see some basic analytics under each post, including impressions that the post made, how many people the post reached, and how many people engaged with it. There are not nearly the powerhouse of analytics that we can find in Facebook and Twitter, but these things are still valuable information to be gathered. 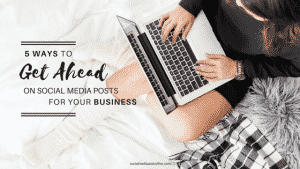 It helps you to know which posts are connecting with your audience, and what tweaks you should make. 2. Your business is now easy to contact through your profile. These buttons are GREAT! We need to make it as easy as possible to people to contact our business, find our location, and be a part of our brand. This simple button takes a whole level of searching and effort out of the process for our customers. 3. Well-Targeted Paid ads on Instagram. As I mentioned before, simply linking to your Facebook page gives you the ability to run well-targeted ads on Instagram. BUT – when you switch to a business account, you can run an ad right on your phone with relative ease. Under each of your Instagram photos, you will now see a “Promote” button. It then walks you through the process of running an ad. My recommendation is this: After you have set up your business Facebook page and your Instagram Profile – simply (through Instagram) go to “Switch to Business Profile” and walk through that process. By switching to a business profile, you will have linked your Facebook and Instagram pages, and you’ll have many features available to you. As you grow in your business, you’ll learn how to take full advantage of them. 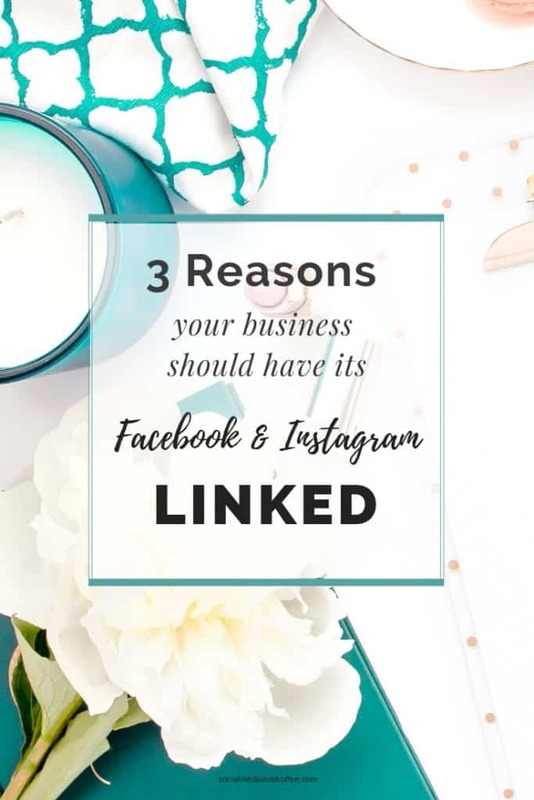 Want to remember this 3 Reasons your Business Should have its Facebook & Instagram Linked article? Save it to your favorite Pinterest board!